Today I’m at SCALE in Las Angeles. I’m here for a few reasons, including as a Speaker on Sunday morning, to help manage the GNOME Foundation exhibition booth, and to participate in the GNOME Sysadmin Hackfest. As the staff GNOME Sysadmin I proposed and planned a Sysadmin Hackfest that would allow us to work on some of the core infrastructure improvements that would benefit from face-to-face collaboration. A lot of the things that we’ll be working on are behind the scenes, but they’ll have a long-term positive effect for the Foundation and the development teams. 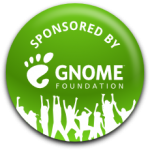 Unfortunately, a lot of the hardware that the GNOME Foundation has been working with is now outdated and out of warranty. This leaves us in a difficult situation in the event of an outage or hardware failure. This will be remedied during this hackfest! The GNOME Foundation has approved and ordered two new nice Dell servers. The new Dell R610 is now setup and ready to buildout. This machine will be the new NFS server as well as a container for new RHEL6 virtual machines. We’ll be able to migrate a large majority of the dated hardware into up to date virtual machines. We’re all very excited about this! We’re also dedicating time to address a number of the long standing bugzilla issues. This includes a number of improvements to the user management system. We use this system to track and manage access controls, foundation membership, email and SSH key configuration and deployment and other related tasks. I’ll post updates throughout the weekend on our progress and maybe, if you ask nice enough, we might just have a look at one of your bugs!